The National Weather Service is predicting the season’s first severe weather threat this evening. Andy Bailey with the National Weather Service in Pleasant Hill says tornadoes are not imminent, but asks Missourians not to rule them out either. He says the storm is on the tail of a cold front that’s causing a great variance in Midwest weather conditions. 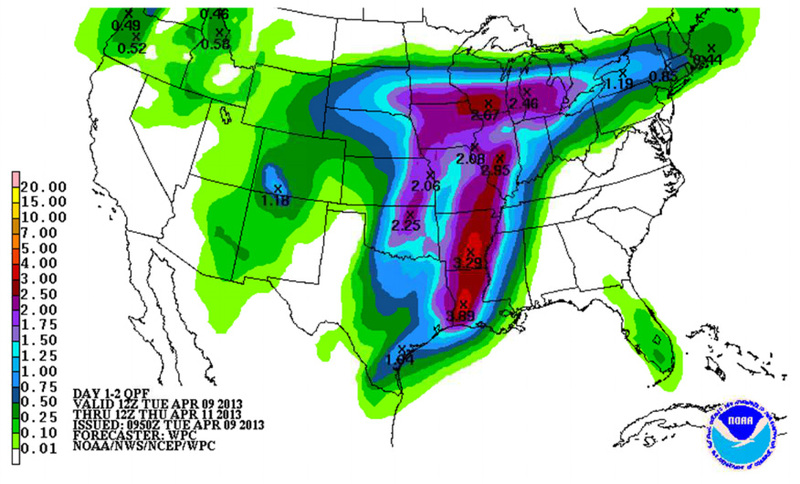 Two inches to three inches of rain is possible throughout the state. Hail is probable and straight line winds are possible. There is only about a 3 percent to 5 percent chance for tornadoes. Bailey says the timing of the storm is difficult to predict, but that western portions of the state could start seeing precipitation early this evening, with chances for storms eastward closer to midnight or even later. Storms are expected to continue throughout the night and into tomorrow.